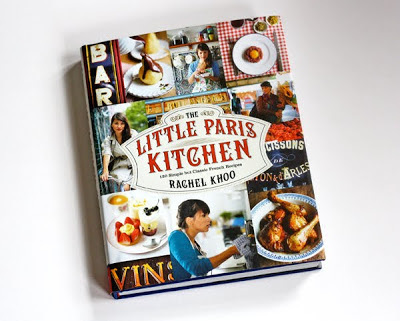 The other nifty thing that arrived on my fun mail day was a review copy of this cookbook from Chronicle Books, The Little Paris Kitchen by Rachel Khoo. The timing was perfect. That very day Alex asked me how I would like to celebrate when I turn 40. It's years away, but I already know. I would like to go to Paris. And then this cookbook arrived in the mail and solidified my plan. I'm not a big cook, especially in the last year or so since I've sort of lost interest. 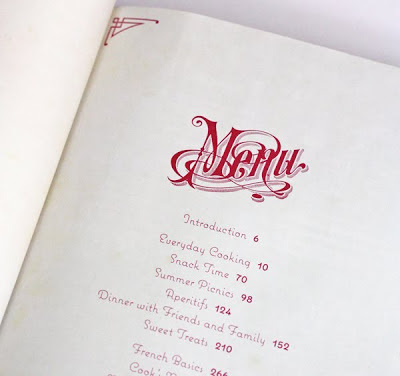 And this isn't a food blog, but for some reason I'm captivated by this cookbook so I have to show you. 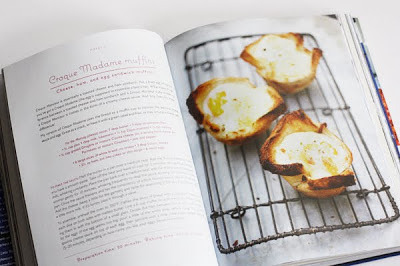 Cheese, ham and egg on toast in a muffin pan (croque madame muffins). And don't get me started on this picture of a chocolate thing. The book is peppered with romantic, atmospheric photos like this that make me want to hop on a plane immediately. Instead, I will try to cook some of these things. Wish me luck. I wish you could visit Paris, and Milan and Istanbul! Gee, I learned some things about you today! Hmmm... this loss of interest in cooking seems to strangely coincide with your decision to cook more healthy food! Uh huh! I would KILL for that chocolate thing. it looks like a beautiful cookbook! thanks for sharing the pages and yes, you should definitely enjoy it! Mum, that is an astute observation. :) Cooking healthy stuff is not fun. StacySix. You are my kind of person. Her TV series is just stunning. Have you seen how big the kitchen is?! It's the same size as her arm span. That's crazy! 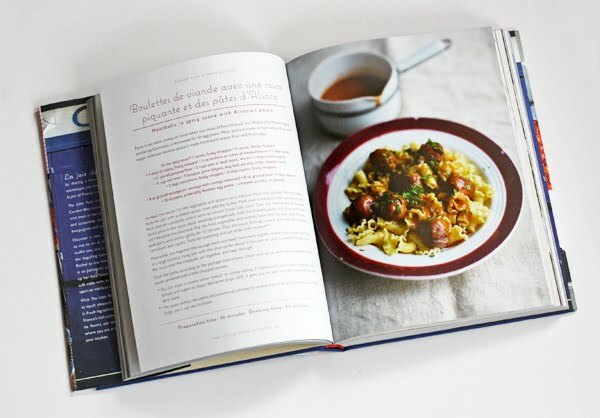 I thought about getting her book but I know I'll never use any of the recipes so I just watch re-runs of her show lol. 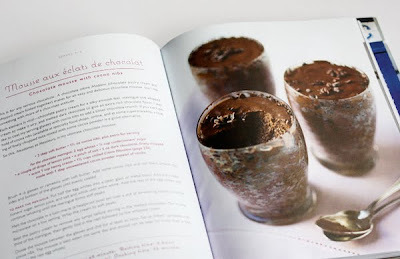 Oh it looks amazing, especially the chocolate pud! 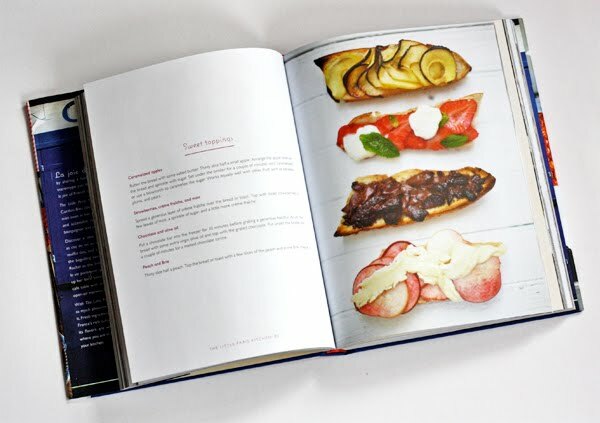 Oh wow, I love food photography and this looks like a book filled with beautiful food photographs! I had high expectations when I went to Paris and they were all exceeded because everything was more romantic than any photo I'd seen. Plus there are crepe stands all over the place so you are never far away from Nutella. A sandwich of baguette, ham and butter will transcend you. That's exactly the kind of thing I'm hoping for! Love love love Rachel Khoo!! Her show and apartment and food are all delicious and delectable. I've had her book in my Amazon cart for months, just waiting to buy it. This book surely looks good! I love French cuisine and Paris is a jewel. Everybody should love Paris. I know there's a show but haven't seen it yet. Thanks for the link! ooooo, the "chocolate thing" looks to die for!!! I just saw this TV show for the first time today. She made a WONDERFUL looking potato/cheese/bacon/caramelized onion 'thing' baked in a muffin tin. I could almost taste it. Have fun experimenting! Rachel Khoo is English which is probably why your French commentators have not heard of her food! It was a fun programme though. Check out Carrie Brown of Marmalade & Mileposts... she develops great recipes that sync with the "Smarter Science of Slim" way of healthy eating... It might make the process more interesting for you! Yes, you MUST go to Paris for your birthday. We did just that in December, but it was quite cold, so hopefully your birthday falls in a warmer month?? I LOVE Rachel Khoo. Her TV series was totally inspiring---such a tiny kitchen and the most basic equipment, proving that you don't need fancy gadgets, professional ovens, or vast expanses of counter to turn out delicious meals. I would love to go to ireland on mine! I still have family there! foux du fafa! it makes me want to wear a dress and bicycle with a baguette and flowers sticking out of my basket. I spent my 40th in Paris and it made for what could have been the worst day into one of the best days of my life. Highly recommend it! I lived in France for a year and the last few weeks, it's calling to me something fierce. Best friend while I lived in France stopped by on her way to Texas (She's American). I wrote a mini-guide to France for Yes and Yes (it posts in April so check back!). I'm in love with Rachel Khoo and her TV show. And I can't wait for this book to come out. She has the life I've often dreamt about. DO NOT wait until you're 40 to go to Paris. Start saving now and go in 12-18 months :-) Paris cannot wait! Well alright then! Thanks for the advice, Emily! BTW, you can see some of her videos on Youtube thru BBCFood's channel. They're only 5 minutes long but sooooo helpful. Check them out. My housemate has this and had cooked for us from it a few times. She made the fishy dumpling things in tomato/creme friache sauce recently (sorry, can't remember the real name!) and they were really tasty. One warning - she also made the frangipane type recipe (I think it was plum or raspberry) and despite cooking it for 50% longer that stated it still hadn't set - either the stated cooking time is way too low, or liquid a bit high in the recipe. I made the croque madame muffins on Sunday. They were tasty, though I somehow expected the bread cup to be crispy instead of soggy. Makes sense that it was spongy, though, since most of the bread is baking next to raw egg, which is wet. The nutmeg in the sauce was interesting. Would I make them again... not sure. But it was fun to try! 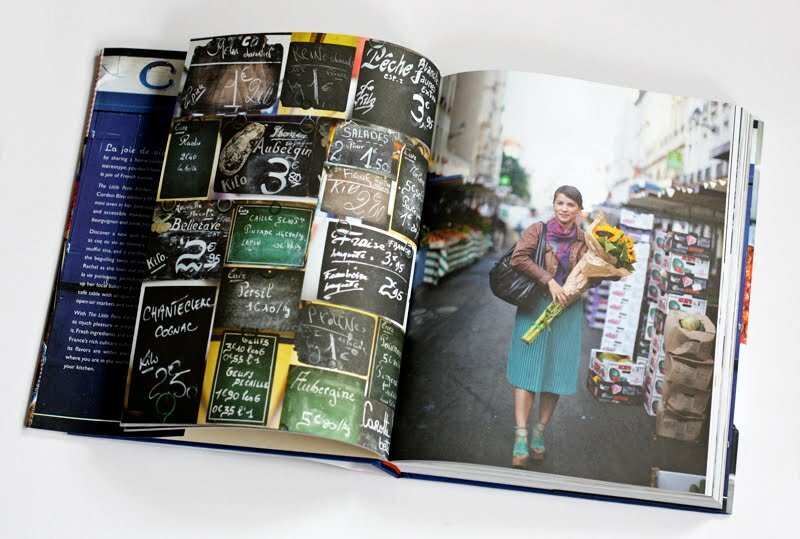 I too was born and lived in Paris, but I've heard of Rachel Khoo because I've lived in London for many years. Every American believes he/she has a special affinity with Paris and wants to be Ernest Hemingway or Gertrude Stein. It is indeed a beautiful city but also a very tough one, not really 'a moveable feast'. Tourists usually have a great time there, of course. I tried the potatoes and pears last weekend, and we loved it!